Following mass protests, Zdenek Ondracek, a former police officer in the Czechoslovakian communist regime, resigned as Chairman of Parliamentary Law Enforcement, a position that entails oversight of police forces in the Czech Republic. Under communist rule, Ondracek served as a member of a special unit responsible for repressing political opponents. He is known to have used dogs, water cannons, and clubs against protesters in the Velvet Revolution of 1989, which brought an end to the communist regime. On March 2, Ondracek, who continues to defend his past actions, was narrowly appointed Chairman of Parliamentary Law Enforcement by one vote. The appointment sparked a public outcry, with thousands taking to the streets of Prague and other major cities across the country. 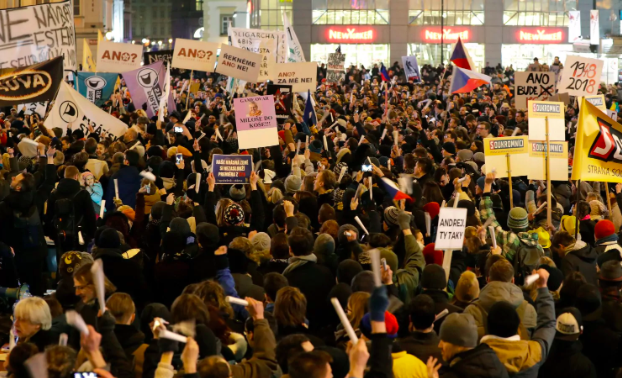 While many protesters such as 32-year-old lawyer Jakub Kocmanek said they joined the protests in opposition to Ondracek’s appointment, the protests also had a larger target: Prime Minister Andrej Babis, whose government enabled Ondracek’s appointment. Babis’ party, ANO 2011, helped appoint Ondracek in exchange for political support from the Czech Communist Party (KCSM). Ondracek’s appointment accompanies other controversies such as the charges against Babis for cooperating with the communist-era secret police. In response to the protests, Babis spoke of dismissing Ondracek. But Ondracek resigned before the Chamber of Deputies could vote to remove him from his new position. Ondracek claims his resignation was not a direct result of the protests, but fear for his family in the “democratic dump well” of politics. Ondracek’s resignation infuriated KCSM leader Vojtech Filip, who criticized Prime Minister Babis as untrustworthy and said his party will reconsider its support for another ANO-led government. The Ondracek controversy has stirred debate over the influence of the KCSM in the Czech Republic. To many Czechs, the appointment of Ondracek represents an affront to the freedoms they have come to value, with some viewing the KCSM as an extension of the pre-1989 communist regime.